PWTorch.com - RADICAN'S "THE PULL LIST" (Vol. 2) - Owens loses at Battleground, Tanahashi reminds us why he's BITW, Top 10 MOTYC's, Mortal Kombat X, Headlocked, more! RADICAN'S "THE PULL LIST" (Vol. 2) - Owens loses at Battleground, Tanahashi reminds us why he's BITW, Top 10 MOTYC's, Mortal Kombat X, Headlocked, more! ”The Pull List” is a new feature column that will take a look at the most noteworthy topics in wrestling, comics, and videogames along with reviews and commentary on the topics covered. There was a lot of outrage amongst WWE fans after Kevin Owens lost the rubber match in his three match series with John Cena. The bottom line is that if you read the tea leaves, you would have seen Owens’s loss coming given the way he was booked before Battleground. If there’s one thing people need to realize coming out of Battleground, it’s that Owens has been given the biggest push of any debut act during the Cena era in WWE. Owens beat Cena clean as a heel in his first WWE match. He lost the second and third matches in the series, but those matches were highly competitive. It was clear that Vince McMahon took a look at the ratings and Cena’s merchandise sales after losing to Owens at Elimination Chamber and followed through with a strong push for Cena to conclude the feud by winning the last two matches and retaining the US Title that Owens desired. Although the feud played out quicker than it should have, they produced three classic matches that should stand the test of time. Does WWE need to develop new top talent? Absolutely. Is Kevin Owens someone that when positioned properly could draw like John Cena does for WWE? As much as I like Owens, he doesn’t have the look of a top tier talent that would be pushed under Vince McMahon’s creative leadership. No matter who has risen up during John Cena’s tenure on top in WWE, they’ve fallen to the side after feuding with him. The blame for that should fall on Vince McMahon’s shoulders, as John Cena has done everything he possibly can to get new talent over. Cena has reinvented himself as a worker and delivered a string of excellent matches this year against a wide variety of opponents. Cena has adapted his in-ring style to work faster paced matches and show fans something different. If Vince McMahon’s philosophy of promoting talent got an update with a patch for what fans will gravitate towards in 2015, he would have had two or three top stars to compliment and perhaps replace Cena by now. Wrestlers like Owens and Cesaro are clearly capable of being top money drawing acts in WWE under the right circumstances. A good promoter can mask weaknesses to build up their acts. Whatever deficiencies there are in acts like Cesaro and Owens can be covered up in a variety of ways. Cena had a lot of deficiencies as he rose to the top of WWE, but McMahon covered them by giving him a strong push no matter how different segments of WWE’s audience reacted to Cena. It’s easy to see why fans are upset that Owens lost. One of the old benchmarks in wrestling is the face winning a feud by tapping the heel out with his submission. The problem with Cena’s submission is that it looks weak. Cena is perfectly capable of cinching up his STF, but he doesn’t. As a result there’s a ton of space between his opponent’s chin and Cena’s arms when he applies the move. Owens tapping out to that move to end a match where he kicked out of just about everything looked weak. The key with Owens is how WWE pushes him in the coming months. Owens clearly passed his first test by more than holding his own while feuding with John Cena. Fans of Owens should be thrilled with the way he was pushed when he debuted, especially given that he’s the first guy under Triple H’s NXT regime to be given a real shot to succeed on WWE TV. It’s hard to imagine Owens ever being “the man” in WWE, but he has clearly shown he can be a top guy in the company if he’s kept away from the mid-card vortex. Where Owens ends up on WWE’s totem pole all depends upon how Vince sees fit to push him in the coming months. It had been months since Tanahashi had a high profile match in NJPW. His feud with Toru Yano, albeit entertaining, didn’t set the world on fire. Tanahashi was given a break from having to put his body through a lot of wear and tear given his age and a laundry list of injuries from wrestling at a high-level in NJPW for a long time while feuding with Yano and participating in multi-man tags leading into G1 Climax 25. Tanahashi put on an incredible performance against Okada while successfully defending the IWGP Hvt. Championship at “Wrestle Kingdom 9” earlier this year. In the G1 Climax A block this year, Tanahashi is the clear favorite to make it through to the finals. Although there are a lot of contenders in his block that will challenge him and provide a lot of opportunities for high-quality matches, the most intriguing match for him was against Kota Ibushi on night 1 of the tournament. Ibushi rose up to Tanahashi’s level during this match and showed why he’s rapidly becoming a candidate to become NJPW’s ace at some point in the future. Ibushi’s striking, high-flying, speed, and counter wrestling were awe-inspiring to watch. After taking a beating from Tanahashi, Ibushi would rise from the ashes and mount incredible comebacks that raised the level of heat from the fans. Down the stretch, Ibushi brutalized Tanahashi with an incredible lawn dart into the turnbuckles and an outside in German from the apron back into the ring using the ropes to deliver send Tanahashi back into the ring at an insane angle. Tanahashi eventually won the match with a high fly flow that was expertly sold by Ibushi. After the match, Tanahashi did his traditional post-match celebration and played the air guitar. The fans went insane for Tanahashi’s celebration. Then Tanahashi took the time leaving the ring to wipe his sweat on the towels that fan after fan tossed at him. It got to the point that it appeared an official told Tanahashi to hurry it up so that they could end the show. Tanahashi is the best in the world when he’s on top of his game. His match against Ibushi was easily one of the top matches of 2015. He’s incredibly over in Japan at the level of Hogan, Rock, and Austin during their prime years. Tanahashi’s performance during the first night of G1 Climax 25 set the bar high for what fans can expect for the rest of the tournament from A and B block matches. A Nakamura vs. Tanahashi final would be incredible, but the true fun part about watching G1 Climax is the twists and turns in the booking that lead into the finals. This is a running list of the top 10 best matches of 2015. I still have things I need to catch up on and watch, so I will be adding new additions to this list throughout the year. I will eventually make a separate post of my entire 2015 MOTY list and keep it updated regularly. I will also update the top 10 list in this column. Mortal Kombat X is the most mature edition of the series to date. The game has come a long way since I played it on Sega Genesis as a teenager. The step up to next-gen technology means more robust environments and incredible graphics (for the most part) to match up with the best gameplay the series has offered to date. The game offers a mix of new and classic characters on both sides of the coin when it comes to good guys and villains. It’s amazing to see Mortal Kombat update its roster to such a degree, as the game starts with 24 fighters, which includes 8 brand new fighters built from the ground up. Ferra Torr is my favorite new character. Torr is a huge beast commanded by a little girl that rides his back and commands him. It’s hilarious to watch the girl get thrown off and hop back onto his back during matches. Mortal Kombat X gets it right when it comes to fighting, which is the core of the game. The animations are so fluid and the various environments that serve as a backdrop for the fights look incredible. X-ray attacks, brutalities, and fatalities all look better than ever. Fatalities range anywhere from gross to comical. The interaction with the environment during matches brings about a wide-variety of options when it comes to attacking your opponent. Whether you are leaping off an object to avoid or set up an attack or using a peasant to obliterate your enemy in the heat of battle, it’s a blast to play the game. Another thing about the game is that each character has three distinct fighting styles, so instead of preparing for one set of maneuvers when you fight a given character, you have to prepare for three, which makes for a deeper challenge when it comes to mastering the game. Likewise, if you prefer certain characters to use for online matches, you need to know their ins and outs before making a decision of which fighting style to use. Although the traditional fighting mode against friends, the CPU, or online is the core of the game, Mortal Kombat does offer a wide variety of other modes that should keep your interest for the long-term. The story mode might satisfy some long-time fans of Mortal Kombat looking to learn more about the story, but I found it to be tedious to get through the game with fight after fight sandwiched around different cut scenes to advance the story, which sometimes featured quick time games. The story mode isn’t horrible by any means, but the repetitive nature of the gameplay wears thin quickly. In addition, arcade-style towers are back, which hark back to the early days of the game where you are challenged to beat a series of fighters to win the tower. The great thing about these towers is that no tower is the same and there are also living towers that are changed every hour, week, and day. The towers offer different themes, which keeps the gameplay fresh. It’s hard not to get lost in the Mortal Kombat world for a couple of hours just trying the different towers. The game offers a lot of DLC and lets you play against characters that you haven’t purchased yet in certain situations. The most attractive DLC is the Kombat Pack, which features four different packs that include Jason in the Ultimate Horror Pack, Tanya in The Klassic Pack #1, Predator in The Predator/Prey pack, and Tremor in The Klassic Pack #2. I haven’t gotten a chance to play with Tremor, who was just made available to those that have purchased the Kombat Pack, but my favorite character in the game by far is Jason from the Friday the 13th series. The makers of the game did a fantastic job of nailing Jason’s aura and integrating into the MK universe. Predator is a lot of fun to use as well. Having spent a great deal of time using the content from the Kombat Pack recently, it’s safe to say that it’s worth the $30 investment. Overall thoughts: (9.0) – This game is incredibly fun to play. One of the drawbacks is the constant lure to spend money on DLC with a big button on the main page urging you to enter the Playstation Store. It doesn’t ruin the game by any means, but they should dial it back a bit instead of being so up front about what you can spend more money on for DLC, especially if you’ve already bought the Kombat Pack. There are tons of different modes available to play, but Mortal Kombat X gets it right where it counts when it comes to the fighting. Whether you’re fighting online, offline against the CPU, or against friends, it’s incredibly rewarding to pull off a tough combination of attacks and explore the deep move sets of each of the characters. This game is well-worth purchasing as it harnesses the power of the next-gen systems and offers a great fighting experience. You can purchase “Mortal Kombat X” and the Kombat Pack at most major retail stores. 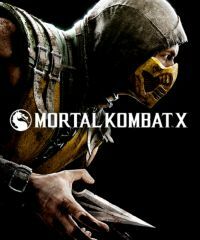 For more information about Mortal Kombat X, visit MortalKombat.com. The Headlocked series of comics from writer Michael Kingston is an attempt to offer serious wrestling comics to wrestling fans with compelling stories as opposed to other wrestling comics that have been mostly fantasy-driven trash. The preview issue of “Headlocked: The Last Territory” features the first 25 pages of a full-length graphic novel. Kingston has done a good job of generating buzz for this series of comics, despite not having a mainstream distribution deal. Nearly all of the art in this comic is from professional wrestlers. Michel Mulipola is the interior artist and the rest of the graphic novel features art and stories from Jerry Lawler, RVD, Shane Helms, Ken Anderson, Christopher Daniels, Sam Shaw, and Sin Bodhi. Just having a bunch of wrestlers signed on to write and illustrate this comic didn’t guarantee that “Headlocked: The Last Territory” was going to be good, but after reading the preview issue, I’m hooked. The lead character, Mike Hartman, has gone to wrestling school. The first 25 pages of this book set up the narrative that he went to wrestling school and using various time hops, it’s clear that things didn’t go as planned as Hartman attempted to begin living his dream. In fact, they went very poorly. A former wrestler, Scott Nightengale, from the WFW shows up in Hartman’s hospital room offering help, but it turns out that his motivations for helping Harman are less than pure. This issue also introduces another dimension to this story with a watchdog reporter named Paul Ambrose looking to make a splash with a story on pro wrestling reluctantly meets with an informant at a restaurant, who has some information that might help him land the story on pro wrestling that will grab people’s attention. Even though it seems far-fetched that any mainstream media member would care to investigate pro wrestling to the extremes that Ambrose seems will to go, I’m intrigued by this plotline as well. Particularly with how it intersects with other elements introduced in the story so far. Overall, this is clearly a well-written comic. The art is fantastic as well. The storyline jumps around different timelines, but is written in a way where everything fits together, which shows that Kingston clearly put a lot of thought into crafting this story. I highly recommend checking out this comic given the high-caliber of the story and artwork. This series appears to be a gift for fans of wrestling and comics having read the first part of this graphic novel. I will publish a full review of “Headlocked: The Last Territory” in a future edition of this column. You can purchase “Headlocked: The Last Territory” by clicking HERE or by visiting HeadlockedComic.com. For more information about the Headlocked comic series visit HeadlockedComic.com. Check my twitter account later today (@SeanRadican) for details on how you can win a code good for a Steam download of WWE2K15 on PC!